I witnessed a sampling of how volatile the situation can be while I was an Ecumenical Accompanier. In Feb. 2013, Arafat Jaradat, a 30-year-old Palestinian father of two died in an Israeli prison; there were reports his death was caused by torture and inadequate medical attention. Protests broke out across Palestine. The Israeli military responded harshly and quickly. Tear gas swept across the West Bank, stun grenades and rubber bullets were used on protestors. After a few days, the protests calmed down but the story continued. This situation is typical of what many human rights observers encounter, the Israeli government claims to be blameless for any anything that causes Palestinians to protest. Simultaneously, the Israeli military brutally crackdown on protestors. Meanwhile, NGO’s document the protests being rooted in Israeli military violence and/or unjust treatment of Palestinians before Israeli military courts. Just before my term ended, another disturbing event occurred in Hebron. The picture shows the scene described to me by a colleague; Israeli soldiers detained a group of seven boys all under the age of 12. Again, outrage filled the streets. Again, the Israeli military cracked down. I still cannot imagine the fear in each of these little boys. Nor, can I fully imagine how the indelible mark left on each of them will play out in the future. Last year, Defense for Children International – Palestine collected affidavits from 161 West Bank children detained by Israeli forces and prosecuted under Israeli military courts. 25 were held in solitary confinement for interrogation purposes for an average of 16 days, a 23% increase over the previous year. The longest documented period of isolation for a child in 2016 was 29 days. 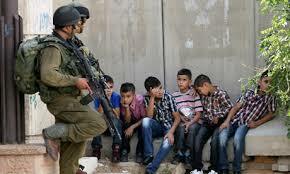 (ii) Currently, there are about 300 children held by the Israeli military. These examples just begin to scratch the surface of the plight of Palestinian prisoners and the outrage felt by Palestinians around just this single issue. The situation has deteriorated since I was there – for the prisoners and Palestinians as a whole. For example, there are almost 2,000 more Palestinian prisoners than four years ago. Conditions have reached a crisis point. 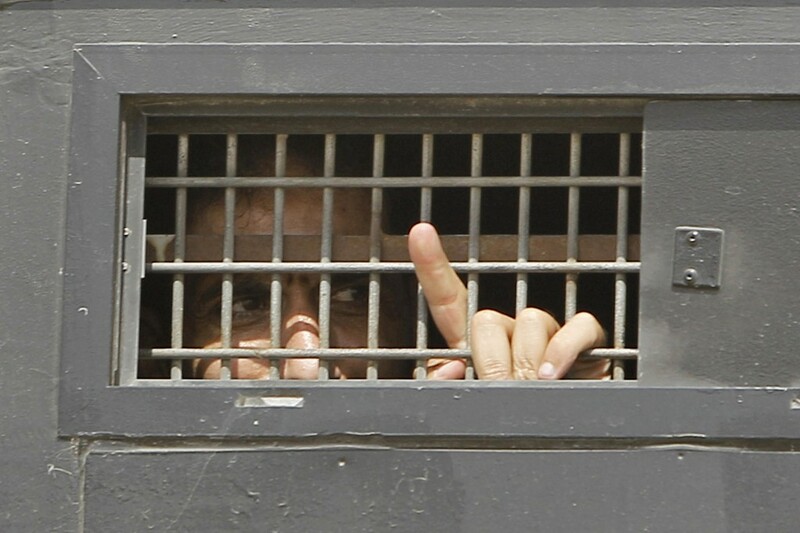 On April 17, Palestinian prisoners began a hunger strike. The prisoner’s demands are simple. They are merely asking for rights guaranteed under international treaties; family visits, proper medical care, an end to Israel’s practice of detaining Palestinians without charge in so-called administrative detention and stopping the use of isolation. It is time to pressure our governments as Signatories to the 4th Geneva Convention to stop turning a blind eye to the Israeli treatment of Palestinian prisoners, including children. Governments need to demand that Israel live up to its obligations under international law and that Israel acquiesce to the demands of the Palestinian prisoners. Supporters of human rights and the rule of international law need to stand in solidarity with the Palestinian prisoners – their lives depend on us. This entry was posted in Uncategorized and tagged EAPPI, Geneva Convention, Gun Violence, Holy Land, human-rights, Humanitarian Law, hunger strike, IDF, Israel, Israeli Military, Jerusalem, middle-east, Occupation, Palestine, Palestinian Prisoners, Peace, politics, religion, Tear gas, United Church of Canada, West Bank, World Council of Churches. Bookmark the permalink. 1 Response to What Leads to a Hunger Strike? Good write up Steve – as always. Whenever I read about the things the Israeli government or military does, I find I can’t square it in my head that the parents or grandparents of these people most likely lived through the holocaust. How can they ignore their past in such a manner. Of course, in that part of the world, the past is not measured in decades. Still, how can they be so content to be on the other end of the rifle? What are they thinking?